Just a short distance from Boston, the city of Newton, Massachusetts is regarded as a bustling area complete with high quality schools, friendly faces, stunning homes, and a vibrant community. With home sales continuing to flourish, there are an abundance of new families moving in all the time. To help familiarize with our beautiful city, we’d like to help you explore some of Newton’s best restaurants, things to do, and other unique aspects that newcomers might not know about. Newton is located 7 miles from downtown Boston, making it a perfect located for commuters with T access via the MBTA Green line, commuter rail, and bus systems. Newton is broken up into 13 distinct villages: Auburndale, Chestnut Hill, Newton Centre, Newton Corner, Newton Highlands, Newton Lower Falls, Newton Upper Falls, Newtonville, Nonantum, Oak Hill, Thompsonville, Waban, and West Newton. Commonwealth Avenue, a notable Boston street, runs through the heart of Newton. This is also the location of Heartbreak Hill, an especially challenging stretch of the Boston Marathon. One of the most notable historic aspects of Newton is the Jackson Homestead. The property served as a stop for the Underground Railroad prior to the Civil War. Today the home operates as a museum for tourists and locals alike. Notable personalities from Newton include Amy Poehler, Anne Sexton, Matt LeBlanc, BJ Novak, Louis C.K., Ted Williams, Harriet Beecher Stowe, Matt Damon, Christopher Lloyd, and Rachel Platten to name just a few. A full list can be found on Wikipedia. The Fig Newton cookie, in recent years branded merely as Newtons, was named after the city Newton, Massachusetts. Ranked high across the state, Newton is known to have an impeccable school system that helps to prepare local students for bright futures. We’ve already compiled a list of some of our favorite Newton restaurants, but it’s important to note some of these impressive competitors. Fiorella’s: For more than 10 years, the local community has enjoyed the taste of Italy in Newton’s suburbs. Each dish is prepared with fresh ingredients and the rustic atmosphere is complimented by the warmth of the in house wood-burning brick oven and open kitchen. Any guest will find something delectable to choose whether they want a generous portion of fusilli bolognese or veal parmigiana. Reviewers rave about their pizzas as well! Village Cafe: All the Newton locals know that the Village Cafe is a great spot to grab a bite to eat. The diner-type atmosphere in this establishment lends itself to a hometown feeling some restaurants struggle to achieve. Fresh ingredients become scrumptious dishes made from scratch; no processed foods are found here! Breakfast, lunch, or dinner there are plenty of options to choose from: Western omelet, strudel berry french toast, French dip sandwich, caprese panini, chicken ziti broccoli, baked scallops, and much more. Their extensive menu even offers desserts and alcoholic beverages. The Shops at Chestnut Hill: An enclosed, two level shopping center, this Newton plaza features the only Bloomingdale’s in Massachusetts, as well as over 50 other specialty retailers such as Tiffany & Co., Apple Store, Crate & Barrel, Kate Spade New York, Papyrus, LUSH, Uniqlo, Vineyard Vines, and many more. If you’re hungry while shopping, restaurants Cheesecake Factory, Besito Mexican Restaurant, Tokyo Japanese Steakhouse, or Frank Pepe Pizzeria Napoletana offers selections to fit any taste. The Street, Chestnut Hill: Just down the street from The Shops at Chestnut Hill, The Street offers a combination of shops, restaurants, and community activities sure to please any family. 15 of the establishments residing on The Street are locally owned, such as Treat Cupcake Bar or skoah. A premier movie theater calls this area home - the Showcase Superlux where visitors can watch a movie while enjoying a meal or cocktail. Guests can attend activities year round, ranging from yoga and workout classes on the green, concerts, sidewalk sales, gardening activities for kids, knitting sessions, and much more. Even your pet can enjoy The Street; a number of locations are dog friendly and canine events are held throughout the year. Stop by the Polka Dog Bakery or Shake Shack to purchase a chicken strip jerky or Pooch-ini, respectively. Boston College Alumni Stadium: Just at the edge of Newton’s borders resides the Boston College Alumni Stadium. Boston College has a strong athletic program and local following. You certainly don’t need to know a student to attend and enjoy a game or a concert at the Alumni Stadium. Tickets for home football games start at $25.00 per adult, but there are additional options if you’re looking for a season pass, alumni pricing, or group tickets. 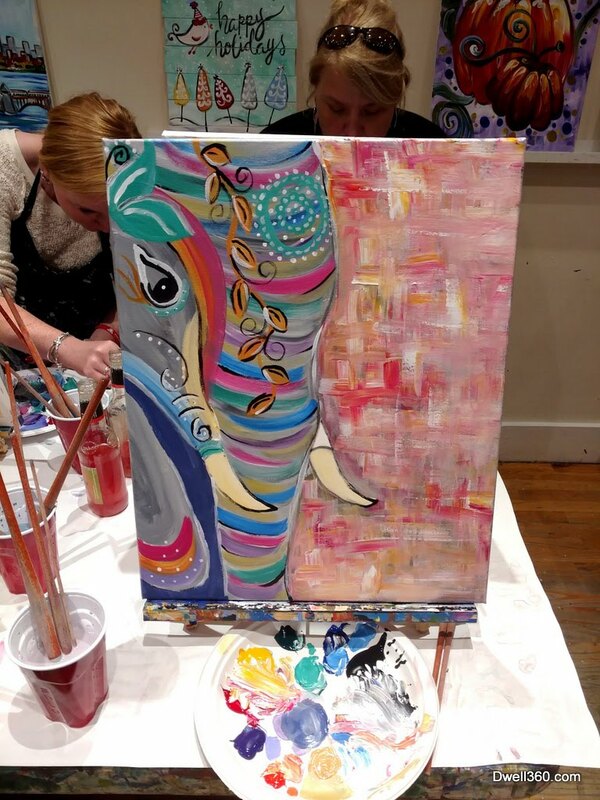 The Paint Bar: Not everyone is blessed with artistic abilities, but Newton’s The Paint Bar makes it easy for those at any skill level to make a beautiful masterpiece. After a visit to Atlanta in 2010 and learning about the paint and drink concept, the owners opened the Paint Bar, the first business of its kind in the Northeast. Men, women, and children are all welcome to come in and paint with canvas pictures like Boston landscapes, whimsical flora, and charming animals among some of the many classes offered. Prices vary based on the day of the week and the class’ content, but guests can expect to pay $25-45 for each 2.5 hour session. Beer and wine is available for purchase, and you are welcome to bring your own snacks. Register for a class today and get your paint on! Boating in Boston, Newton: Over the past two decades, the quality of the water in the Charles River has drastically improved. This change has helped bring canoeists, kayakers, and rowers back to the waters of the Charles. A great location to enjoy an active outing is the historic Newton Boathouse of Boating in Boston. During their open season, guests can visit 7 days a week to rent kayaks, canoes, and stand-up paddleboards. For those that anticipate frequent outings, season passes are available, and classes are offered for those interested in perfecting their skills. If you already own a boat, the Newton location of Boating in Boston offers storage for a fee. Nature Throughout Newton: Newton is a beautiful city, full of historic homes, lovely people, and stunning naturalistic elements. There are many places throughout the city where residents and visitors alike can enjoy nature. Crystal Lake, a natural lake covering 33 acres, is a great place for families to enjoy the warm weather and offers swimming lessons seasonally. Cold Spring Park, another local favorite, is home to an off-leash dog park, trails, tennis court, and baseball field. Nahanton Park, located on Nahanton Street in Newton, offers enjoyable walking and jogging trails to compliment the beautiful foliage. Visitors also have access to a canoe/boating dock, fishing, a soccer field, community gardens, and wildlife sure to please the most avid birdwatchers. The Hammond Pond Reservation draws in the rock climbing crowd for its large bouldering that invite climbing. Norumbega Park, once a hub for pre-war entertainment, now serves as the site for the Newton Marriott Hotel and a beautiful park with popular jogging trails and dog walking sites. Auburndale Park is a great choice for families so that kids can feed the ducks or enjoy the ball fields, tennis and basketball courts, horseshoe pits, playground, and more. Lastly, there is the Newton Cemetery whose grounds offer a bounty of natural beauty where guests can attend walking tours to view the stunning trees, birds and wildlife, and learn about local history. Doesn’t Newton sound like a great place to live? Give us a call today and we’ll help you find the home of your dreams. Newton City Government. About Us. Retrieved from https://goo.gl/SM1AtV. Fiorella’s. About. Retrieved from https://goo.gl/bevtO. Village Cafe. Home. Retrieved from https://goo.gl/xLov2k. The Street Chestnut Hill. Home. Retrieved from https://goo.gl/i2Fj98. Wikipedia. Alumni Stadium. Retrieved from https://goo.gl/8dOyV1. The Paint Bar. About Us. Retrieved from https://goo.gl/vevMpC. Boating in Boston. Newton. Retrieved from https://goo.gl/4f0T9a. Wikipedia. Newton, Massachusetts. Retrieved from https://goo.gl/cJREHn. Wikipedia. List of people from Newton, Massachusetts. Retrieved from https://goo.gl/I2qH1A. Phelan, John. May 6, 2011. 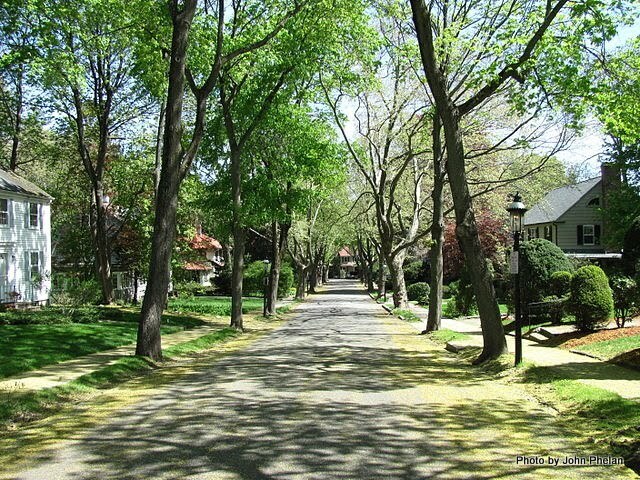 Windermere Rd, Newton Massachusetts [image]. Retrieved from https://goo.gl/7WgHfx. Kempthorne. September 6, 2007. Alumni Stadium panorama [image]. Retrieved from https://goo.gl/9fnrLW. Reinhold, Arnold. April 18, 2016. 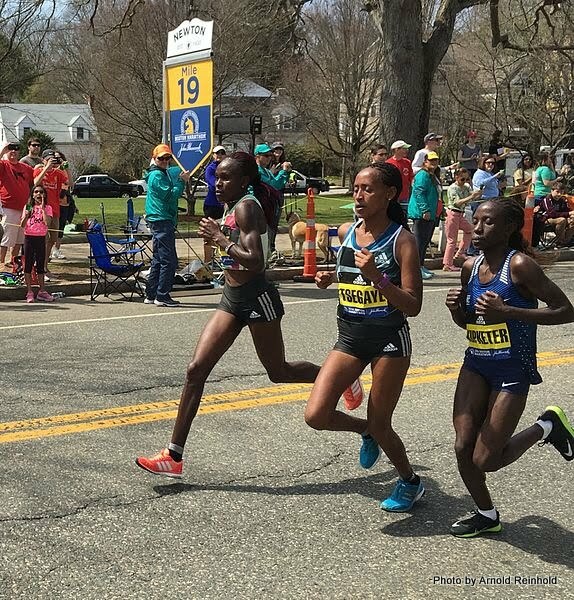 2016 Boston Marathon lead women at mile 19 [image]. Retrieved from https://goo.gl/Mt4uNq.